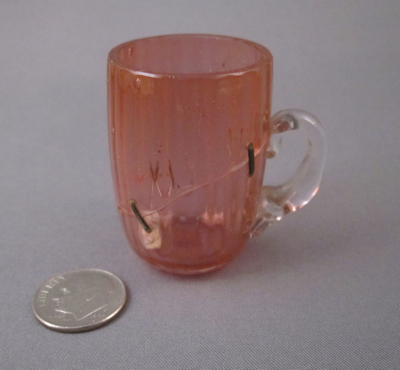 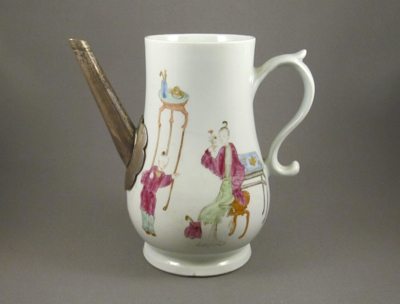 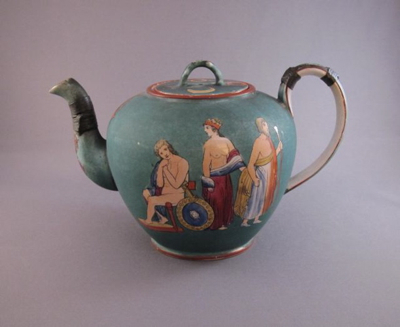 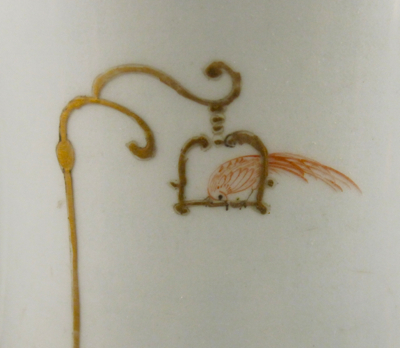 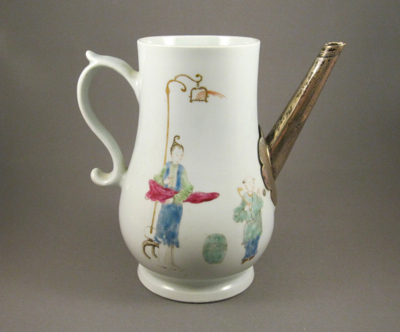 This small porcelain baluster shaped coffee pot with spreading foot was made in England by Worcester during the scratch cross period (1753-1755). 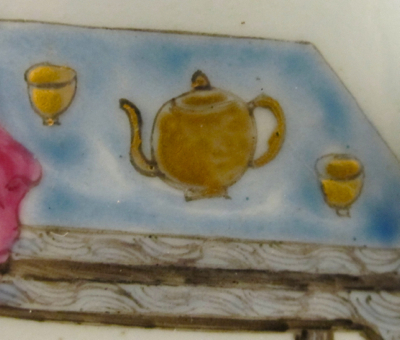 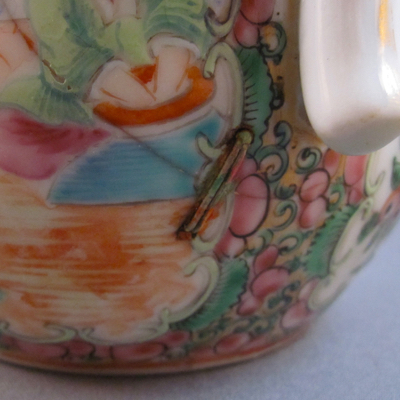 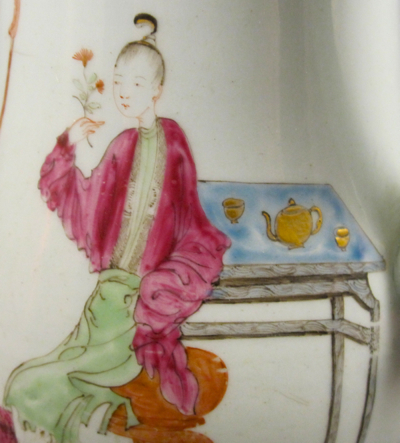 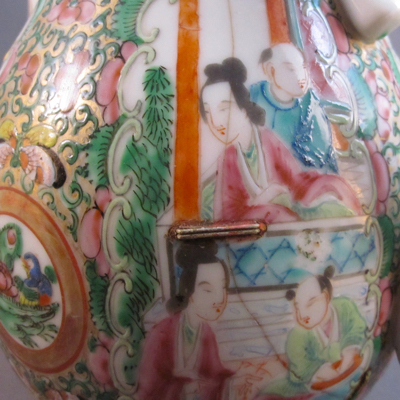 It is decorated with Chinese figures, a parrot on a stand, furniture, and tea set; my favorite detail. 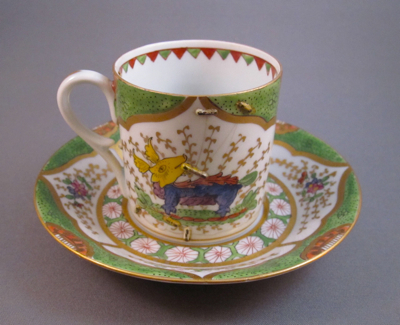 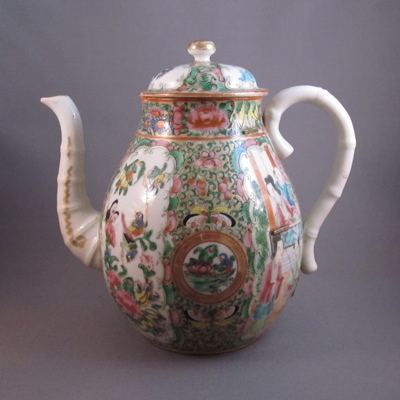 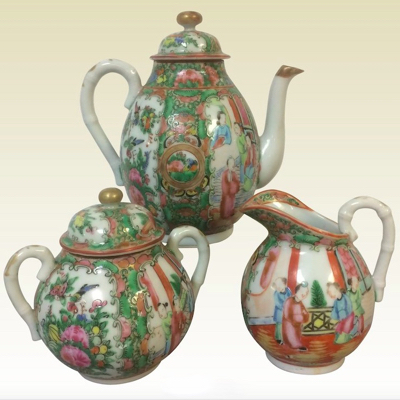 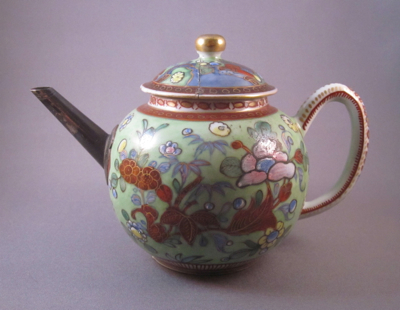 Decorated in England, it copied the Mandarin style done by the Chinese, who themselves adapted European decoration for wares exported to North America and Europe. 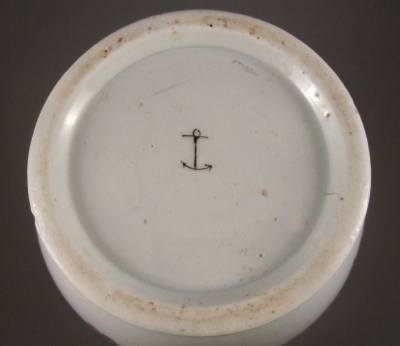 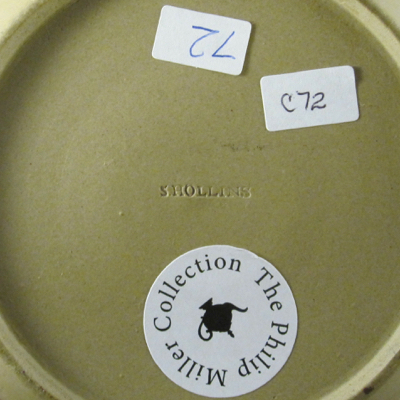 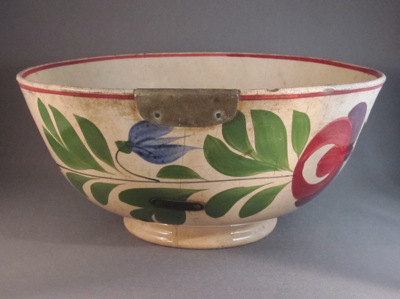 Marked on the underside with a scratch line and a painted anchor artist mark, this pot, minus its original lid, stands 5-3/4″ high. 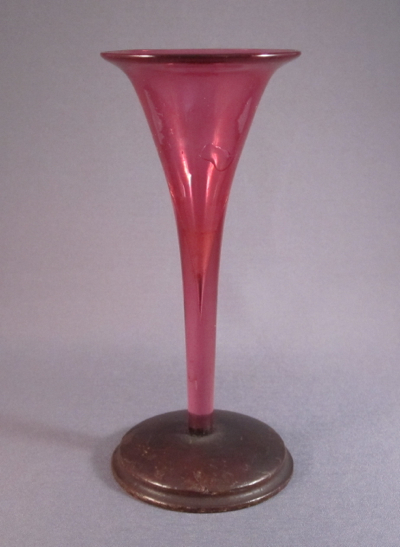 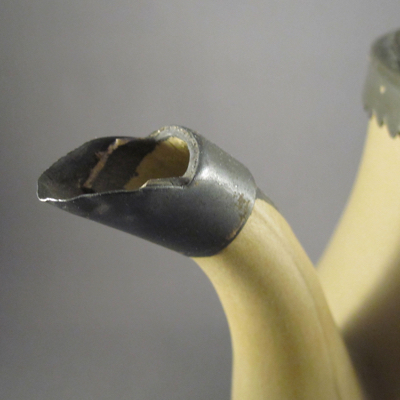 Although the fragile and more apt to break “S” shaped handle with curled thumb rest remains intact, the original curved spout did not fare so well. 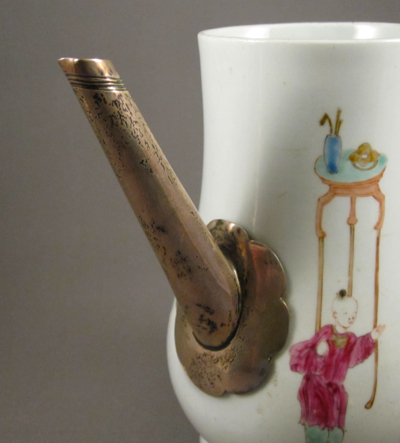 A silversmith fashioned a fine silver spout with scalloped plate to replace the missing original. 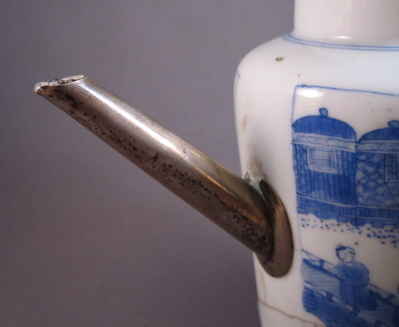 I have many examples of silver replacement spouts with the same form on pots in my collection, so I imagine this must have been a popular style used by silversmiths in the 18th and 19th century. 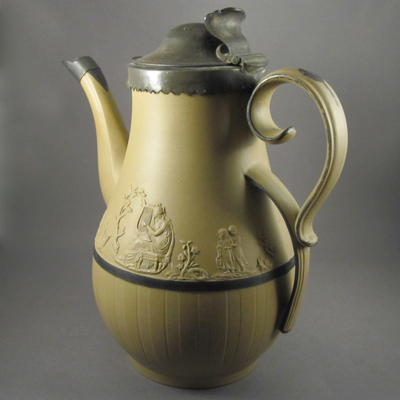 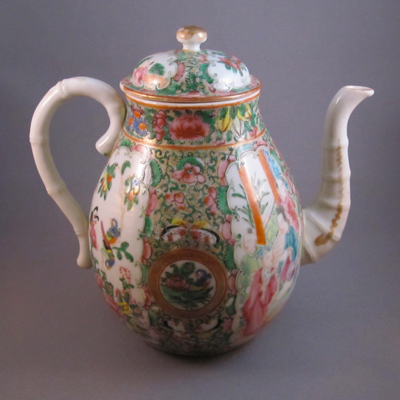 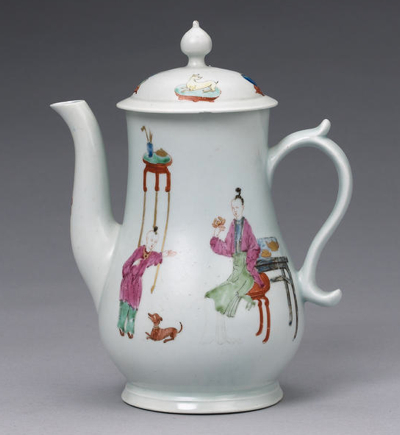 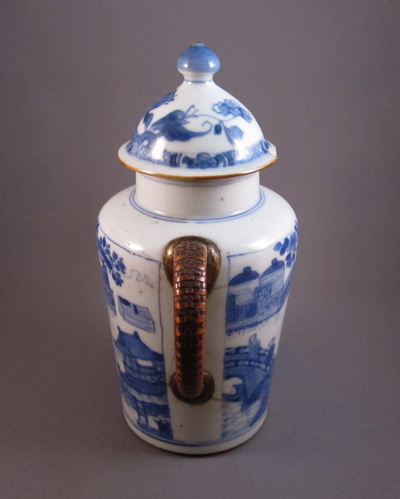 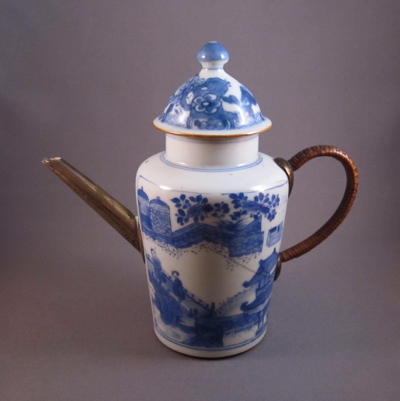 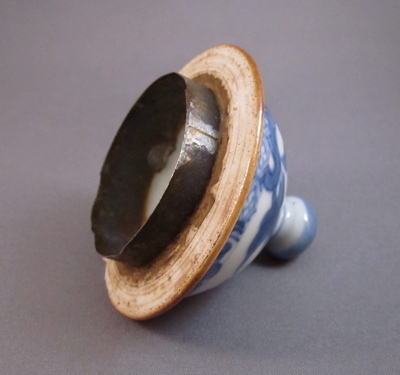 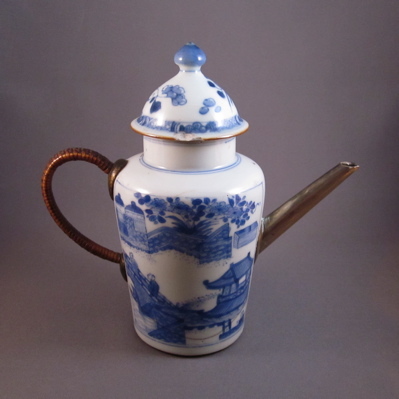 This unusual form porcelain coffee/chocolate pot was made in China during the Jiaqing period (1796-1820) for export to North America and Europe. 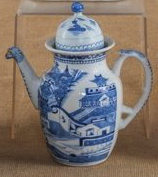 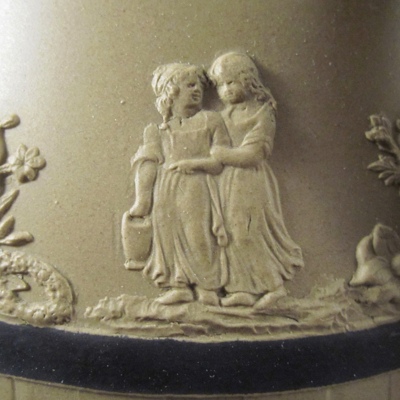 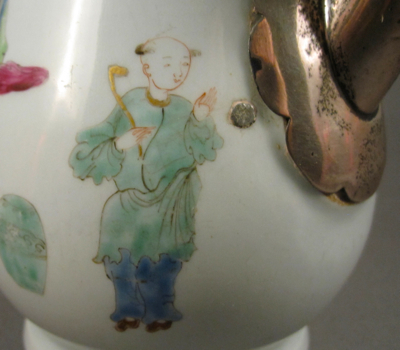 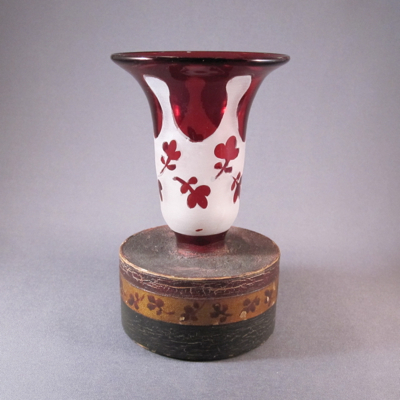 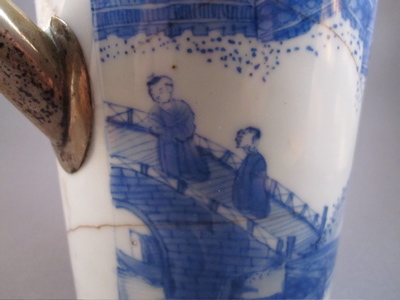 Standing 7″ tall, it is decorated in blue underglaze, depicting people on bridges, walls, pagodas, and flowers. 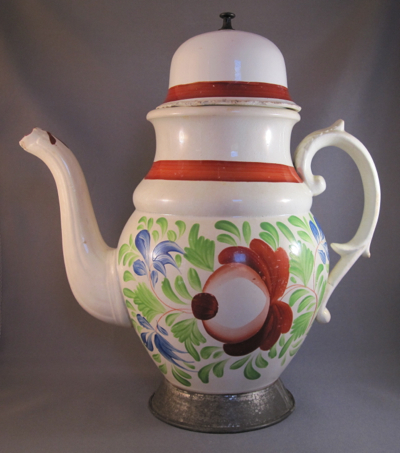 Its tall form suggests it is a coffee or chocolate pot, but it might just be a tall teapot. 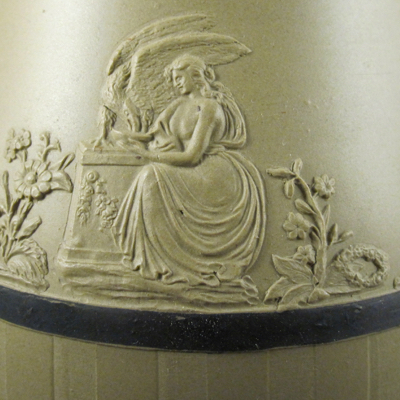 If anyone has more information to help identify the original use of this pot, I would greatly appreciate hearing from you. 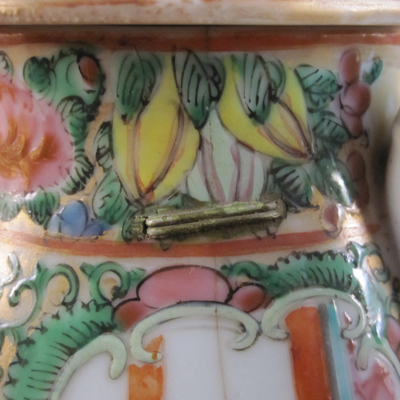 If you know anything about me by now, you know that I love finding antiques with multiple repairs, and this pot is a doozy. 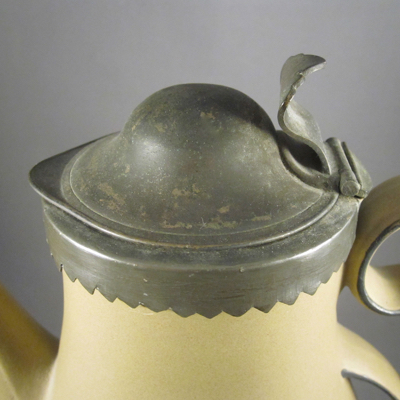 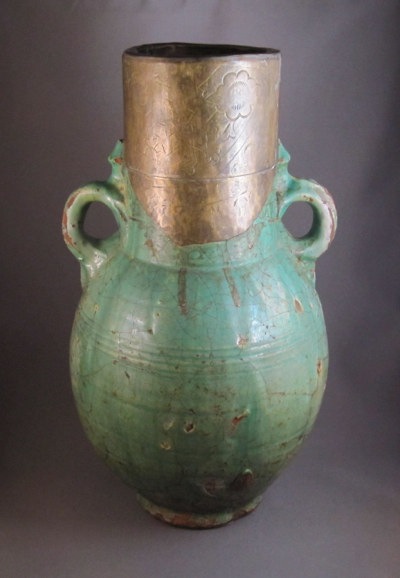 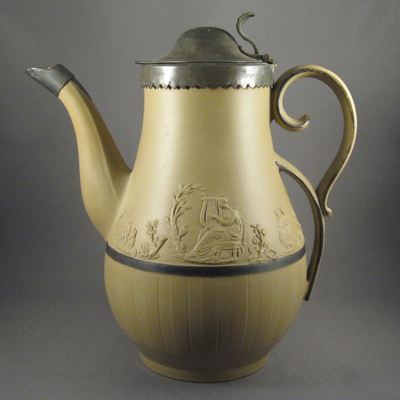 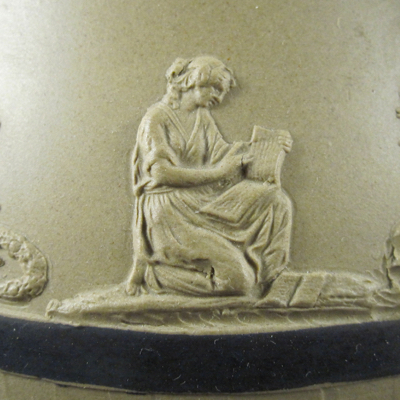 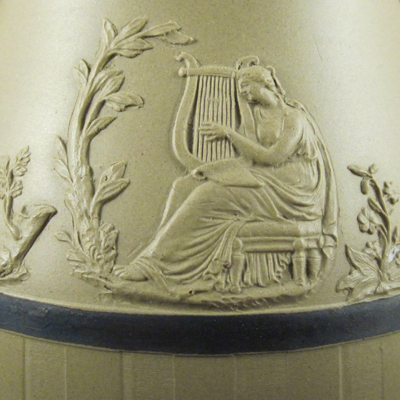 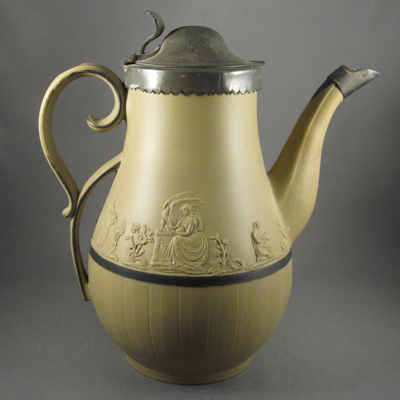 This survivor has been fitted with a replaced silver spout, a replacement handle of bronze with woven wicker wrapping, and a lid with a tin collar. 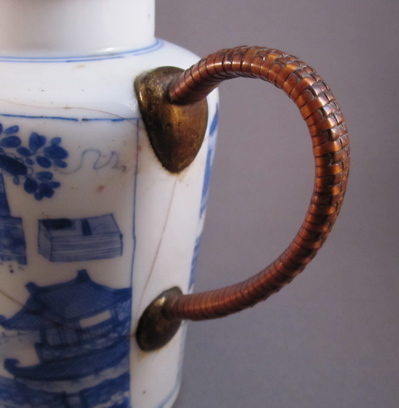 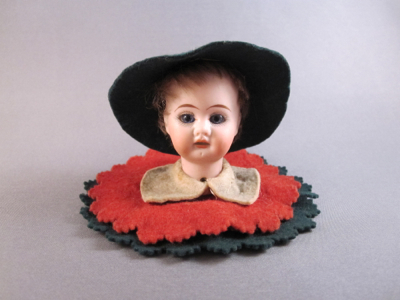 That each unique repair is made from a different material suggests that the original owner must have been clumsy, as I feel the repairs were made at separate times during the 19th century. 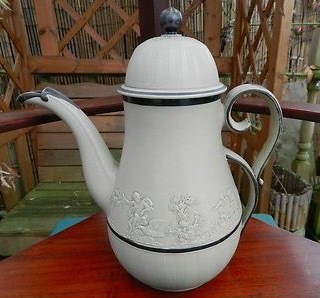 But I am glad this pot was cherished enough to warrant three individual trips to the china mender and/or tinker to extend the life and service of this little gem. 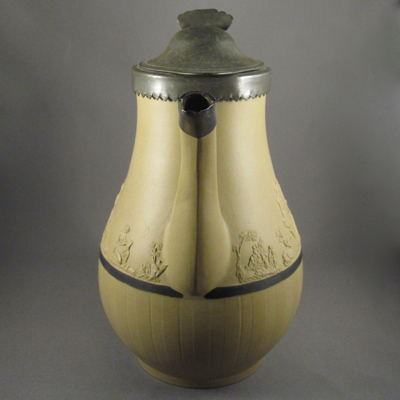 This pot with similar form is intact and shows what the original handle and spout on mine might have looked like.